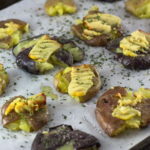 Do you love smashed potatoes, because I do! 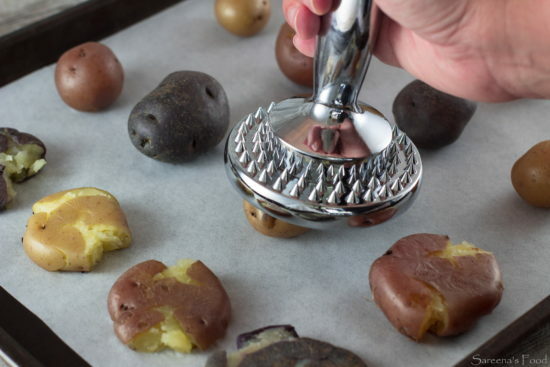 They are a fun way to have your baked potatoes, and make a great side to any meal. They are easy to make, and everyone loves them! As you know by now, I love simple and easy recipes, and this is definitely one of them! You start by boiling the potatoes until they are fork-tender. DO NOT OVER BOIL THEM as they will become crumbly. 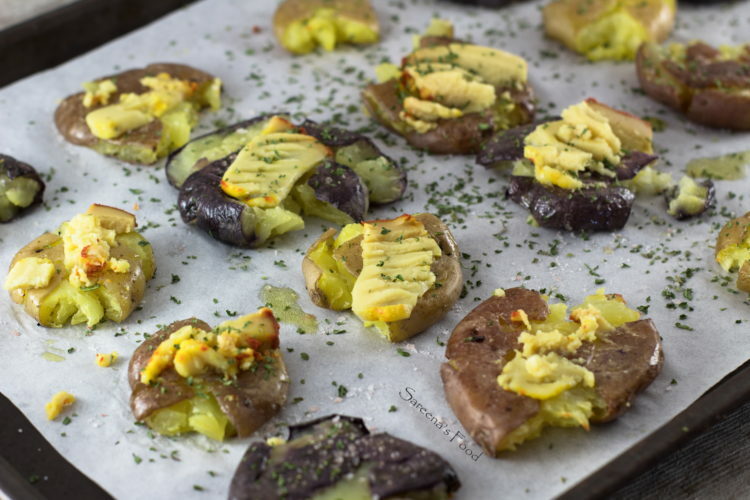 Place the potatoes on a parchment lined baking sheet and smash them! I used the smooth side of a meat tenderizer. After I brushed them with oil and sprinkled with salt and pepper. Bake them for ten minutes, take out and place the cheese on it and bake for another five minutes. The vegan cheese I used is from Nuts For Cheese, the Red Rind one I used tastes like a Smoked Gouda! You can visit their site to see their selection HERE. They pair well with grilled veggies, or with pretty much anything! Boil the potatoes until they are fork tender and drain. 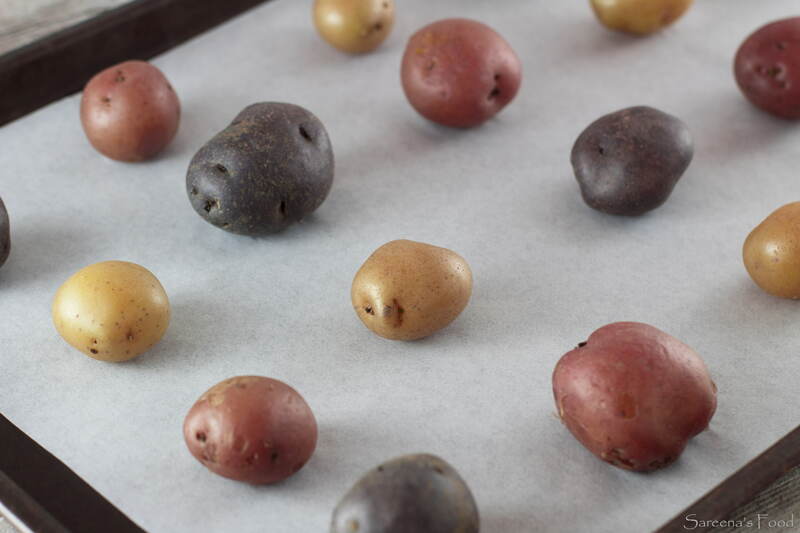 Place the potatoes on a parchment lined baking sheet and smash them. Brush with oil and sprinkle with salt & pepper. Bake for 10 minutes. 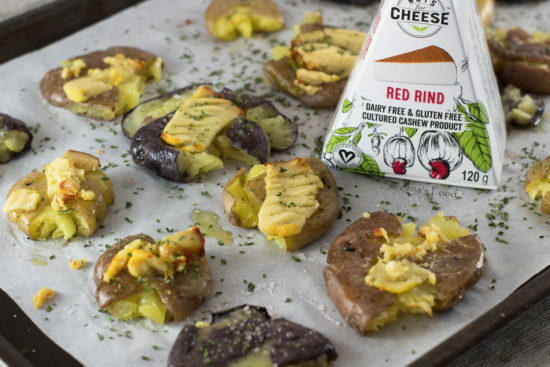 Remove from oven and place slices of cheese on the potatoes and bake for another 5 minutes.